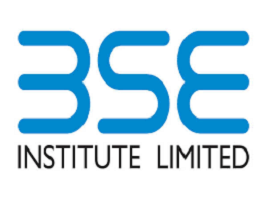 BSE was formerly known as Bombay Stock Exchange Ltd. In 2005 company was incorporated with the name as “BSE LIMITED”. BSE Ltd is Asia’s first and fastest stock exchange in the world. BSE Ltd provides trading in equity, currencies, debt instruments, derivatives, mutual funds. BSE also provides trading in small-and-medium enterprises (SME). The company went public in Jan 2017 and become India’s first listed stock exchange. The amount required by the Company for the Buyback including the cost of financing the Buyback and the Transaction Costs) will be from the internal accruals of the Company. 1. For participation in the Buyback process from "Open Market Buyback", the investor should have shares of BSE in their Demat account or Physical form before the Record date of 1st Feb 2018. 2. BSE will buyback 15240 shares(calculated by dividing total shares to be buyback/no. of working days) every morning at Current Market Price subject to the Maximum price of Rs. 1100 as mentioned in the buyback offer. 3. And as an investor, you can place your sell bid in the market similar to the selling of normal shares.